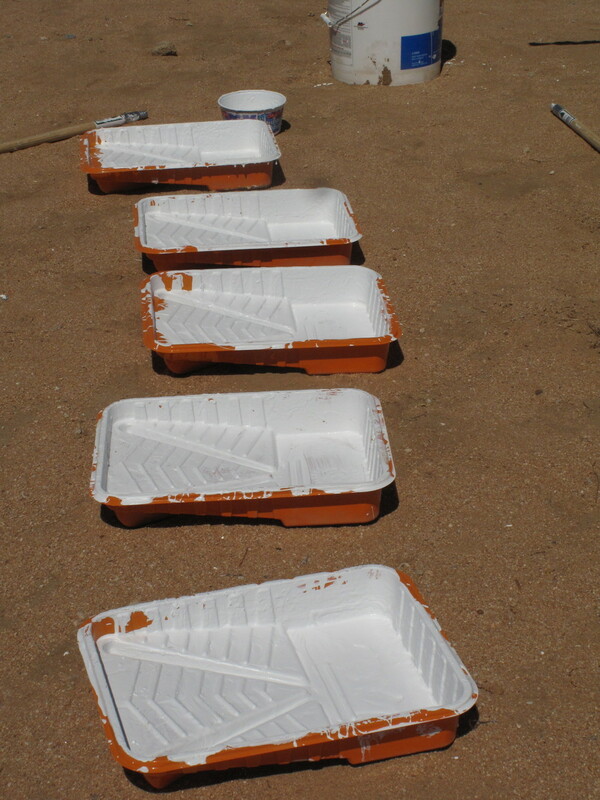 Paint trays used by volunteers during one of the maintenance days at the Noah Purifoy Outdoor Desert Art Museum. • Identify resources to support the upgrade and sustainable green design of the on-site Brewer House to accommodate arts educational projects and workshops. The Brewer House is named after Debby Brewer, artist, arts educator and former colleague of Noah Purifoy in Watts. It was her family home in Joshua Tree and studio until her death in 2002. In 1989, Brewer invited Purifoy to move from Los Angeles to Joshua Tree. Purifoy established his studio on Brewer’s two-and-a-half acres and made his home in a trailer on the site.